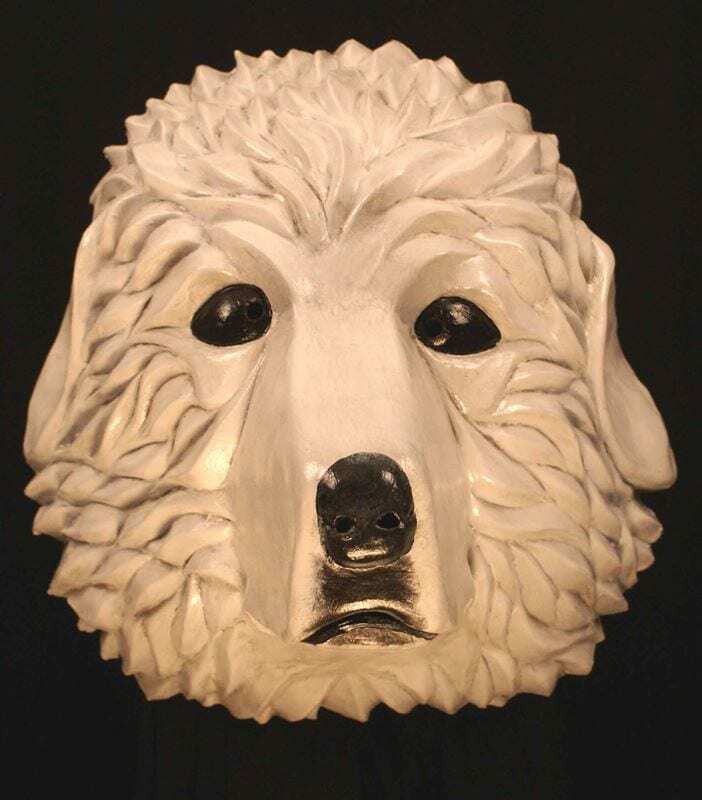 The Great Pyrenees Dog mask is one of many of the animal masks created for the Meet The Breeds Show in New York City in 2008. This wonderful dog masks is a poetic representation of one of the great and majestic dog breeds. These animal masks allowed actors to roam the streets of Manhattan enticing people to take part in the event a Madison Square Garden. The creative process of creating the dog masks and cat masks was journey of was and scratches. The clients representing the dog breeds were eager, impulsive and joyful and the clients representing the cat breeds were indifferent and wanted to micro manage every aspect of the project. The Great Pyrs are majestic dogs that calmly move through life. They are mountain breed that grows to be more than 100lbs of white fluff and slobber. These dogs are the great protectors of sheep, children, livestock, grass, the moon and lawn furniture. Strong beautiful and friendly.